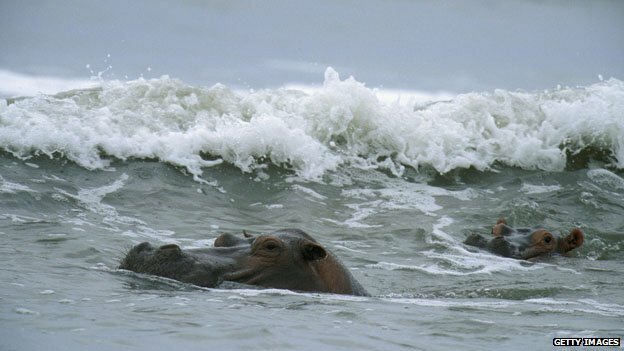 I’m not sure how many people scanned through the scrolling photos on the top of the BBC website today, but I stopped on the one that featured two hippos body surfing. I wasn’t sure what the article was about, but I’m a sucker for anthropomorphic animals. It turns out that these hippos live in Gabon, a West African country that is trying to ween its way off of oil revenues and diversify its economy with eco-tourism. According to the BBC, they have the ecology and the national parks in place, and want to build an eco-tourism industry based on the model pioneered by Costa Rica. I enjoyed the article; it got me thinking about the challenges associated with culture and business development, but also made me feel good to know that Gabon is trying to build its economic future around preserving its environment.